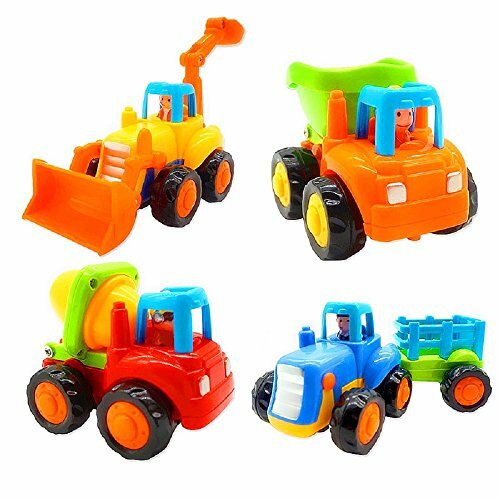 Set of 4 Friction Powered Toy Trucks for Toddlers. Perfect for enthusiastic little hands. 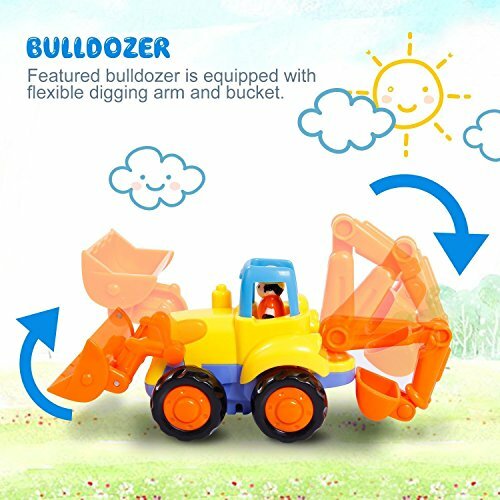 Made of high quality, sturdy plastic. Long lasting friction power. 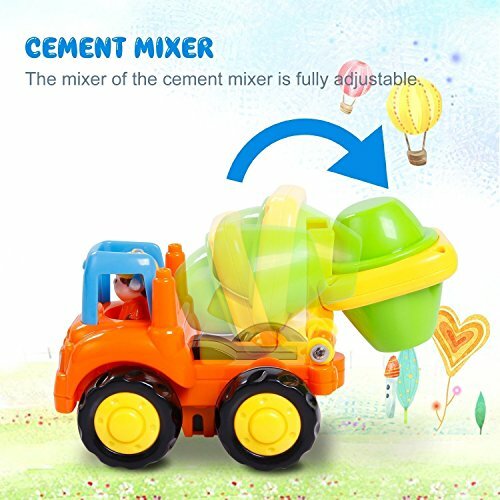 Includes: cement truck, dump truck, bulldozer and farm tractor with wagon. 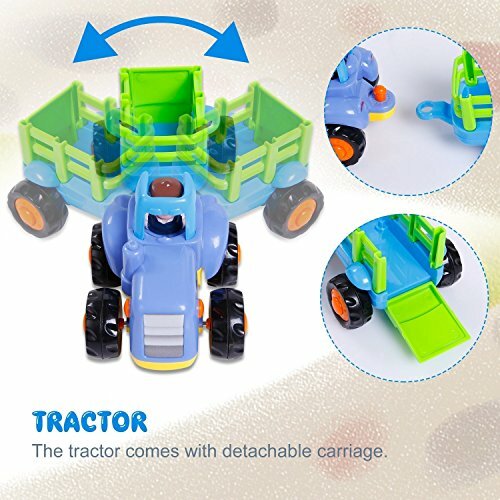 Farm tractor: Fun caroon driver will amuse your baby, the carriage can be jointed to the main body to carry small items,and the rear door can be opened or closed exercising the flexibility of children’s hands. 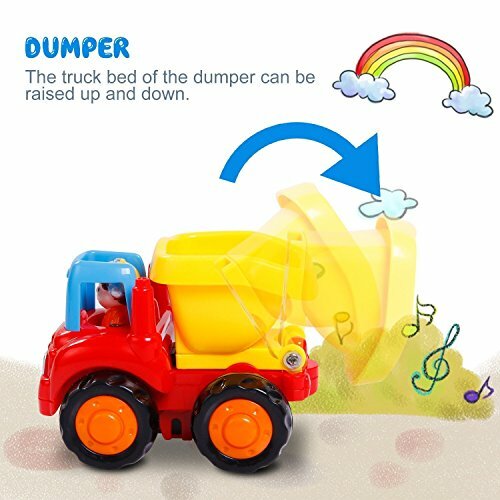 Distinguishing different names and fuctions of the trucks, cultivate children’s observation and attention. 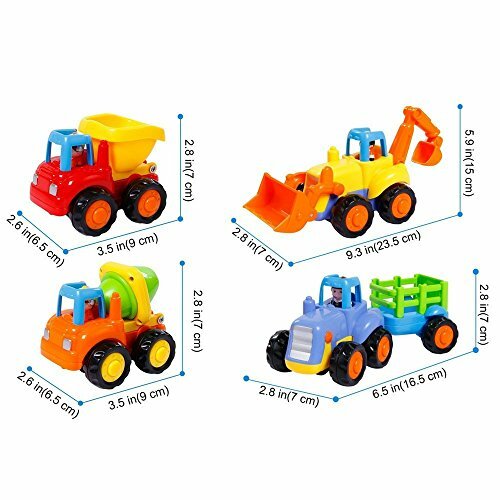 Different shapes and colors of trucks help kids to recognize new thing and stimulate their visual development. *We Offer 1-year satisfactory GUARANTEE!! please contact us as soon as possible, we will make free replacement for you. 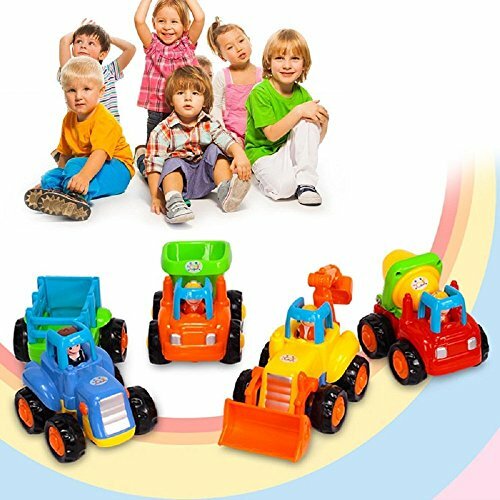 √ Kids Car toys,No Battery Required, 4-WD SYSTEM:Push the friction car forward slightly then it go and last for quite a long distance.No battery required,children can play the vehicles freely and safely without parents’ supervision.Children can take the toys wherever they want to go,child’s construction site, whether it’s in the playroom or the sandbox. 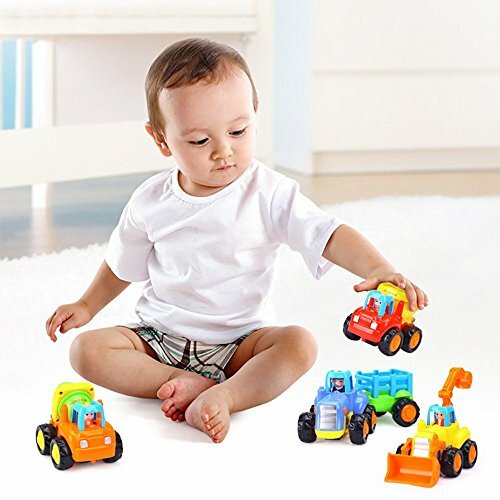 √Multicolored Cartoon Friction Toys: Playing this kind of colorful toys can promotes babies’ hand-eye coordination, sensory perception,develop their imaginations and practice cooperative play. 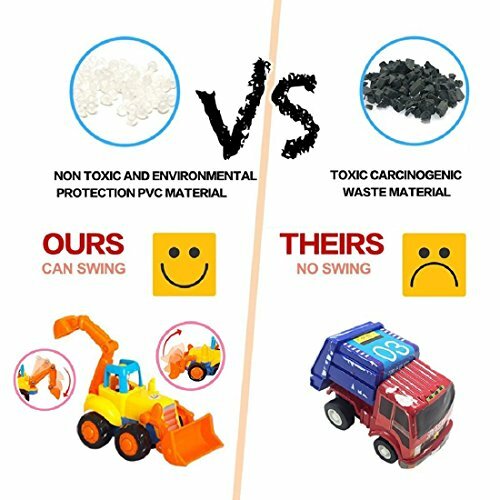 √ Eco-friendly, CPC certification, ASTM & EN71&CPSIA Test: Push and go cars is constructed of non-toxic plastic material which is up to safety standard CPC certification. It can be ensured 100% safe and healthy.